You know when you go to your child’s well check-up visit and have to fill out those questionnaires about what your child is or isn’t doing at this point in his life? Sound familiar? Good. So, what’s the deal with the question about riding a bicycle? Most children are able to ride a tricycle by age 3 and ride a two-wheel bicycle by age 7. This accomplishment is really exciting for both the child and parent! Riding a bike is an indicator of dynamic balance. In order to be successful, a child has to balance on a small seat, shrinking his base of support, while moving his extremities. A child’s vision, upright posture, and tactile interpretation of the environment effect his ability to hold this seated posture on the bicycle. Bilateral coordination is a big deal. It enables us to walk, reach across the middle, use both sides of the brain, interpret the environment, etc. Riding a bicycle takes both legs moving in an equal and opposite pattern. The inability to pedal a bike gives healthcare professionals major insight into the potential neuromuscular, muscular-skeletal, or cognitive limitations preventing reciprocal patterned movement. Simply put, when your child rides a bicycle, he improves his ability to access the environment. This skill improves socialization and age-appropriate play skills. 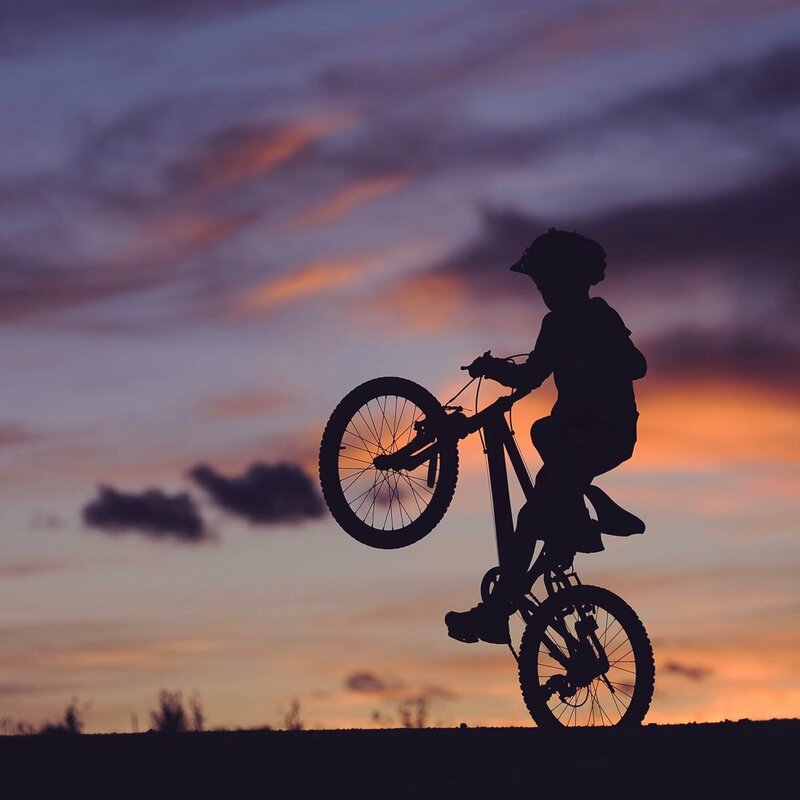 In addition, riding a bicycle improves physical activity levels which impact the child’s health over a lifespan by helping to curb sedentary activity. Ultimately, there are so many reasons why a child might be delayed when it comes to achieving this landmark gross motor skill. Physical therapists have the tools to uncover the potential reasons why a child might be having difficulty riding a bicycle. Contact us today at Boost Babies, LLC. Wellness classes can help properly align your child’s bicycle and give insight into how to accomplish this skill.